According to internal documents which have surfaced in a recent court filing, Apple was aware of the fact that the iPhone 6 and 6 Plus are significantly more likely to bend than the iPhone 5s, their predecessor. The issue was identified by the company prior to the launch of the iPhone 6 and 6 Plus. Internal tests revealed the iPhone 6 to be 3.3 times more likely to bend than the iPhone 5s, and the 6 Plus being 7.2 times more likely to bend. Publicly, Apple has never admitted that the phones have a bending problem, despite the two models commonly being plagued with "touch disease" as a result of how easy they are to bend. "Touch disease" is a flaw that causes the display to show a flickering grey bar at the top (see the image below this paragraph), while the touchscreen would work intermittently - or even stop working altogether, in some cases. Independent repair experts speculate that this is caused by the touch IC chip, which translates your touch into a digital signal, becoming partially unseated from the phone's logic board. Many experts believe this to be caused by flexing or bending associated with normal use, and nothing more extreme than that. A year and a half after the release of the iPhone 6 and 6 Plus, Apple made engineering changes in order to prevent touch disease. After an internal investigation, the company determined that "underfill" was necessary to resolve the problems (an epoxy used to stiffen the logic board). This was used in the iPhone 5s but the company only started applying the solution to the iPhone 6 and 6 Plus in May 2016. Apple only acknowledged touch disease in November 2016, offering to replace phones plagued by the issue for $149 (down from the previous charge of $349). It did not reveal the aforementioned engineering changes to the public, but said that touch disease only happens after iPhones are "dropped multiple times on a hard surface" and then incur "further stress". Apple was required to turn over its internal testing documents as part of discovery in an ongoing class action lawsuit filed against it because of these issues. The documents themselves remain under seal, but US District Court judge Lucy Koh made some of the information in them public in a recent opinion on the case. 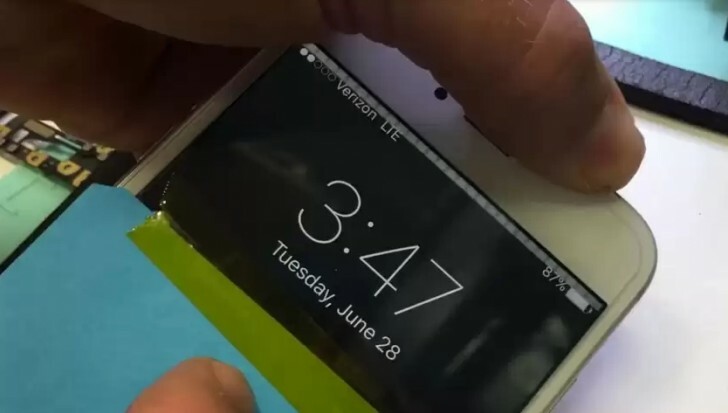 The lawsuit alleges that Apple misled its customers about touch disease. Trying to split sticks in a language not mastered, can lead to embarrassing results - as you have just illustrated.